Join the #1 Content Locking Network! Publishers - AdWork Media allows you to earn more from your websites, apps, products, content, e-mail marketing, search & display ads, and other web traffic! Our custom publisher platform provides money-making tools, detailed reporting, and an easy-to-use, yet powerful interface. Maximize earnings with AWM's ad delivery algorithm that automatically targets best performing campaigns for your users on their location and device. AdWork Media's support team is also available 7 days/week for guidance and support. Get in touch with us at any time for assistance! Generate Profit From Your Sites, Apps, & Content With Our Automated Monetization Tools! Join AdWork Media! Create Your FREE Publisher Account! Please take a moment to provide the following details for our approval team. We typically process applications within a few hours 7 days/week! Oops, an account with this email address already exists. Please use a different email address and try again. Please complete the CAPTCHA verification to prove you are human! Thanks! Please complete all the fields in the form below! Please enter a secure password that is at least 6 characters! Please enter at least 30 characters to describe your promotion methods! Please select your promotion category. Does your site or promotion offer rewards, points, or other incentives? Notice About Acceptable Promotion Methods » Our ads & monetization tools cannot be used with fake or misleading content, hacking related content, or any content with the word "free" since some of our advertisers may bill users that participate in their offers. Please ensure that your websites and promotion methods are in compliance with these guidelines and our full Compliance Policy. What networks do you currently work with? Please describe your promotion methods in detail with at least 30 characters. You may provide additional comments for the review team. Publishers - Join AdWork Media! Our custom publisher platform uses the latest technology in affiliate marketing to provide our publishers with a powerful self-serve platform along with necessary tools such as Postback & Pixel Tracking, Split Testers, Banner Rotators, Full API Access, Content/File/Link Lockers and much more! Interact with an intuitive platform designed for newbies and pros alike. Publishers, we want you to succeed! Our Performance Managers and support staff have years of experience in online and affiliate marketing and are regularly available to assist you with promotion strategies, campaign selection, and general support. View detailed campaign statistics and compare your own success to site-wide performance levels. Analyze lead and click details such as referring URL, mobile device, operating system, IP address & location, custom tracking ID's (up to 3), and many other variables. Then optimize! Maximize your revenue with built-in Split Testers and other reporting tools. We know your time is valuable, which is why we maximize every click, serving only the best campaigns with equally impressive payouts. Get paid by PayPal, Check, Bitcoin, ACH Direct Deposit/Wire, Payoneer, Payza, or Western Union. All publishers start on a NET-30 payment schedule but can quickly move to NET-15 or faster. Enter the AWM $500 Monthly Sweepstakes! 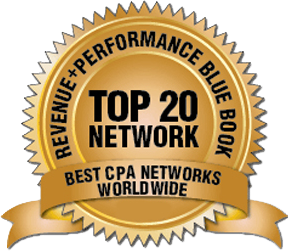 Publishers, Earn More From Your Traffic™! 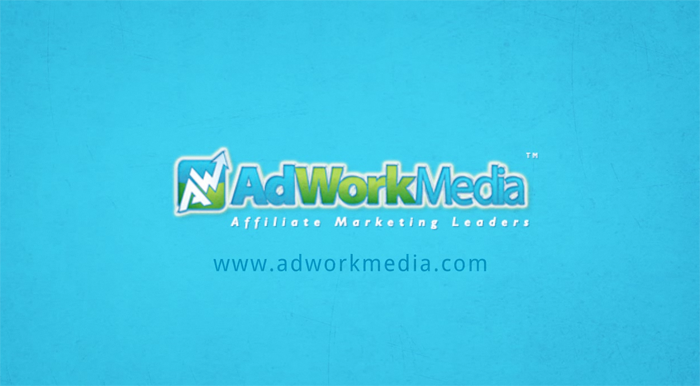 Earn More From Your Traffic™ with AdWork Media! We are always innovating our platform, monetization tools, & features to ensure our publishers have the best resources available to maximize their traffic's earnings. Sign up now! Check Your Stats On-the-Go with AdWork Media's stats apps for iOS and Android devices!